Microsoft has launched a bold bid to make us think of our Xbox 360's as our primary media box, sealing deals with 40 content partners - including some major UK names. Xbox Live will be boosted by content from the likes of Channel 4, Channel 5, BBC, Sky, Lovefilm, MSN, YouTube, Blinkbox, Sky and Muzu in the UK this Christmas. 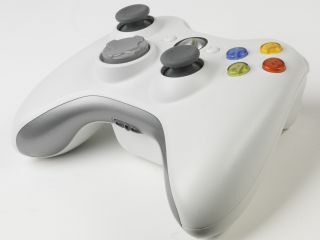 Microsoft describes the deal as 'a new era in TV' and the Xbox 360 will now aim to continue to prove that it is not only a games console, but also a connected media hub with a wealth of content. "Xbox 360 brings all your entertainment, friends and family together in one place," said the software giant. "Now, easily switch from playing your favorite game with a friend out of state or even across the world to watching your favourite TV show with your family members on the same couch, all through Xbox LIVE. "Ready to mix things up? Effortlessly switch from games to music to live TV and more, simply by telling your Xbox what you want to experience." The partnerships are vital for Microsoft as consoles move beyond mere games machines, and although some of the partnerships are well established the addition of content from the likes of the BBC is hugely welcome. Sarah Milton, Head of VoD at Channel4, said:"Continuing our strategy of making content available, on demand, where our viewers most want to watch it, we're delighted to be able to offer 4oD on Xbox 360 – Britain's best-selling console in 2011"
Simon Calver, CEO of Lovefilm added: "This is an important deal for us and the next move in Lovefilm's strategy for multi-platform delivery. Xbox Live already has a large consumer base of all ages – all of which will be able to take advantage of our unique combination of streaming films directly into the living room." Of course, the Xbox doesn't yet offer linear TV channels, but this is a powerful VOD offering, and may give some television's major players, as well as Google (and Google TV) pause for thought. ·AlloCiné – France, Germany, Spain, U.K.
·CinemaNow (Best Buy) – U.S.
·Crackle – Australia, Canada, U.K., U.S.
·iHeartRadio (Clear Channel) – U.S.
·MSN with MSNBC.com – Canada, France, Germany, Italy, Japan, Mexico, Spain, U.K.
·MUZU.TV – France, Germany, Italy, Spain, U.K.
·"The Today Show" – U.S.
·VEVO – Canada, U.K., U.S.
·Zune– Australia, Austria, Belgium, Canada, Denmark, Finland, France, Germany, Ireland, Italy, Japan, Mexico, New Zealand, the Netherlands, Norway, Spain, Sweden, Switzerland, U.K., U.S.